Today is an historic day. Originally known as Armistice Day, it was established as a federal holiday in 1919 by President Woodrow Wilson to mark the one-year anniversary of the end of WWI at the 11th hour of the 11th day of the 11th month. He proclaimed the holiday as "an opportunity for America to show her sympathy with peace and justice in the councils of the nations." In 1945, World War II veteran Raymond Weeks from Birmingham, Alabama, had the idea to expand Armistice Day to celebrate all veterans, not just those who died in World War I. 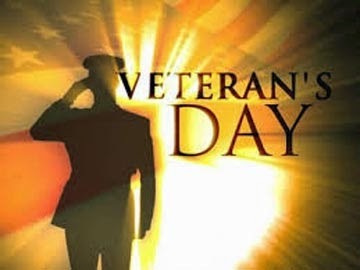 As usual, it took several years for a bill to wind its way through the Federal Government, but in 1954, Congress finally approved a bill, establishing November 11th as Veterans Day. So, today, while I am observing Veterans Day, I do so with conflicting emotions. For the first time in my life, I am angry, sorrowful, and yet deeply proud when it comes to our nation's veterans. Before I try to explain the contradictions of my feelings, you need to understand that I very deliberately separate the veterans of our military from the political power structure that is the Military Industrial Complex. The latter is the complicated relationship between policy makers in our government, the fighting forces and their assigned organizations, and the industries that manufacture weapons and military technology to fight the wars. In fact, President Dwight D. Eisenhower warned us that it would be necessary to strike a careful balance between securing a robust national defense and how we approached diplomacy with fellow nations of the world. Without that balance, he cautioned, there would be a strong inducement to abuse power. And that's where my anger comes in. As in so many other areas of our national narrative, we the American people, didn't keep our guard up. And with much reluctance, I now question whether we have indeed, become empire builders and profiteers of war. Where once, the United States concentrated on developing and protecting our own security, it seems to me that we have let our government proceed unchecked in subjecting our fighting forces in far too many "military assistance" and "training" roles in foreign countries. Woodrow Wilson wanted to celebrate America as a nation that embodied peace and justice in war. Both of those components seem to have become convoluted in the 13 long years of war since we were attacked on September 11th, 2001. If you are truly seeking peace, then why wouldn't you make every effort to win the war and minimize deaths and casualties to both your own forces and those of the enemy? Or has it all been to enrich the powerful and the war machine that needs constant feeding? But this Veterans Day finds me sad, too. Sad for the thousands of men and women who have sacrificed their lives, their bodies, their families and their youth in the hope that they were truly protecting their country and fighting for liberty in the world. Was it worth it? Are we any safer at home? Is the world a safer place? What do you think? Just read the headlines, and tell me what we've gained from the nearly $6 trillion spent on the wars in Iraq and Afghanistan? That's nearly $75,000 per US household! We have spent $87 billion in reconstruction funding for Afghanistan, and $61 billion in Iraq. Where are the results? 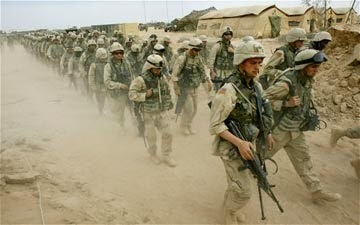 I see nothing but exhausted and disillusioned soldiers. I see a government bureaucracy and machine that is so immersed in perpetuating itself, that it scandalously ignores the medical needs of the very personnel who put their lives on the line. I see flagrant disregard for the safety and morale of the troops by political hacks dressed in military uniforms who sell their souls for a place at the Machine's table. And I see transparent attempts to both denigrate the value and character of returning veterans, as well as plant suspicion and conflict between veterans and civilians. (The recent indifference to the plight of Sgt. Andrew Tahmoorissi meets all these characterizations). And it all makes me sad. I have to be honest and say that this is really the first Veterans Day that I have felt these negative emotions. But as new and raw as they are, they do not replace the pride that I will always feel for those who are members of our U.S. military forces. As the daughter of a WWII veteran, I am extremely proud of my dad's service to the country. At the same time, I am beginning to see more cynicism among veterans, and that concerns me. I can understand how they must feel betrayed and exploited. The men and women who have fought, and continue to fight, in our recent wars may serve under unscrupulous and corrupt men; but it does not change who they are. I'd like to think that most people who enter military service do it out of a sense of honor and principle; to fight for those who cannot fight for themselves, and to defend our liberty and freedom. These are noble causes and noble actions. And that's why I also want to respond to the hateful article on Salon.com by David Masciotra, who believes “It is challenging for anyone reasonable, and not drowning in the syrup of patriotic sentimentality, to stop saluting, and look at the servicemen of the American military with criticism and skepticism.” I will not give him any more credit than necessary; only to vehemently disagree with his anti-military stance. I know that War is monstrous, and the business of War is ugly and reprehensible. And maybe I am too idealistic and too much of a romantic, but I also believe that integrity, and decency, and trustworthiness, and justness are parts of combat, too. I have been in the company of some of the bravest of our military personnel, and I have witnessed a code of honor that exists and deserves to be paid tribute to. The fact that someone is willing to step into the gap to defend another is praiseworthy. It is something worth celebrating. It is also my prayer that next Veterans Day, we will have none of our military on foreign soil. But no matter where they are, no matter how trite it may seem to them, I will continue to thank them for their service and their sacrifice. I will continue to respect and honor them; to support them and encourage them. And I will continue to pray for them. It's the least I can do. Ecclesiastes 3:1, 8: "To everything there is a season, and a time for every matter or purpose under heaven ... A time to love and a time to hate, a time for war and a time for peace." "War is sacrifice". That's a direct quote from a local military commander. He was not wrong. It is a Blood Sacrifice. This is why they not only keep it going, but increase the wars- because their god demands it. And who usually dies? The youngest ones, the inexperienced ones- our children, barely out of high school. You're so right … the ones who wage the wars are not the ones who pay the sacrifice. All the more reason to respect those who still step forward. Bless them!